One of the biggest lessons from a recent conference and meeting with mentors was about consistency and growth. I’ve traveled and gotten to design much of my schedule this year. I think it's safe to say I've become somewhat of an LA resident. I visit my friends there so often that they don't even have to clean the house anymore. And one of the best things about this is that I get to escape the Minnesota winter, when before, I was thinking of moving. Do you know how I made that possible? I designed my life over time. But designing your life isn't a walk in the park 100% of the time. One of the biggest things I've learned from some of my mentors is that you need to measure your growth based on your consistency. Picture this: you're a football player. What if you measured your growth based only on how many touchdowns you personally scored? That would be ridiculous. Football is a team effort. Only a few individuals on the team actually score those touchdowns, but they wouldn't be able to do so without the rest of their team. The same goes for measuring your business growth- and this applies to all professions. You have to measure certain aspects. In my line of business, we measure individual enrollments and orders, of course. However, I have no control over other people's timing and circumstances. What I can control is my consistency and my actions. What an I doing to produce income over time? 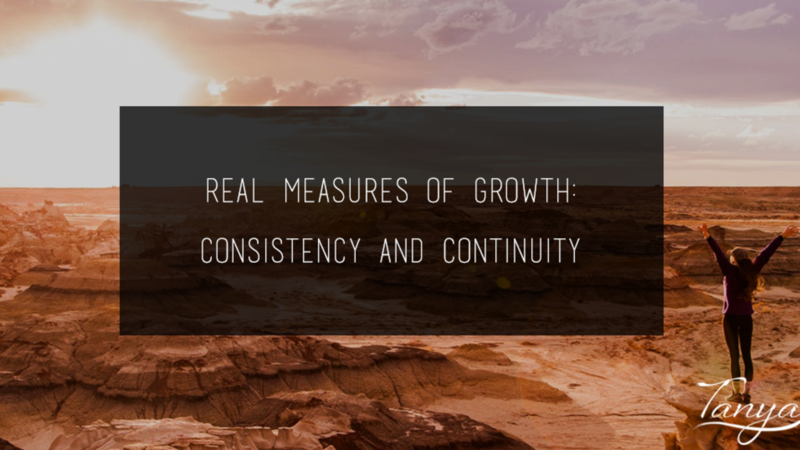 Learn to measure growth based on consistency and commitment to continuity.Commitment to continuity is how you achieve emotional stability. Know that in discipline lies freedom. In the past, I've had trouble with consistency. I hated seeing every single time frame on my calendar blocked. Everyone wants the freedom to design their own schedule. How do you have freedom and still have that commitment to continuity so you achieve emotional stability? And still make sure you're making money? At one point, my schedule was completely free but I was absolutely miserable. I felt like a complete failure. Unaccomplished. I was confused: wasn’t this what I dreamed of? What everyone dreams of? But then I realized: commitment to continuity is where you get emotional stability. In discipline is where you find freedom. I picked myself up by the bootstraps and got more committed and disciplined. I started making progress. I stopped being miserable. Allow yourself to have seasons. There are seasons for everything. I played with my design: I time-blocked, gave myself a lot of time to accomplish tasks and delegated a number of those to myself. I gave those tasks a time and those tasks stopped being just another thing on my mind. I also delegated some free time and fun. So if something that's worked for you the last few months suddenly stopped working, it's time to try something new. Stop fighting yourself. Don't get stuck in being totally inflexible. What works now may not work tomorrow. Try time blocking, try a to-do list, try a combination of the two. And at the end of the day, measure your growth based on consistency. Be consistently committed to your cause and to taking action. You'll be happier with yourself and your continued progress.